At Repro Parts, we manufacture made to specification wire harnesses. These wire harnesses are made with precision and care. 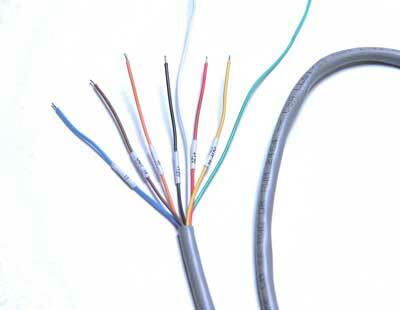 We can handle any custom made wire harness order. Our years of experience in wire harness assembly is the reason we are able to deliver a quality product and excellent customer service time after time. 30 thru 8 AWG, 26-10,000mm in length. Individual wires pre-cut, stripped, twisted, tinned, terminated. Wire bonding – ribbon style. 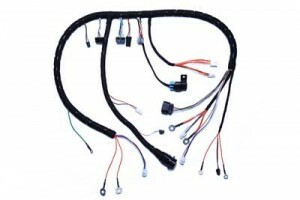 Wire harness assemblies with or without terminals or connectors. We offer competitive pricing and professional, experienced staff. We take pride in providing personalized attention to the fulfillment of both your custom wire harness needs and any turnkey solutions necessary. We excel in our industry so that you can excel in yours. Technology has changed drastically over the decades, and we’ve adapted to include the most up to date cost-effective practices in response. We invite you to take advantage of our time-tested experience and quality. By contacting Repro Parts for your custom made wire harnesses, you are guaranteed quality and experience at a price point that will suit your budget. Our experienced staff will help take care of any questions or concerns about your order. So, contact us today.